Free to attend. Advance registration required! 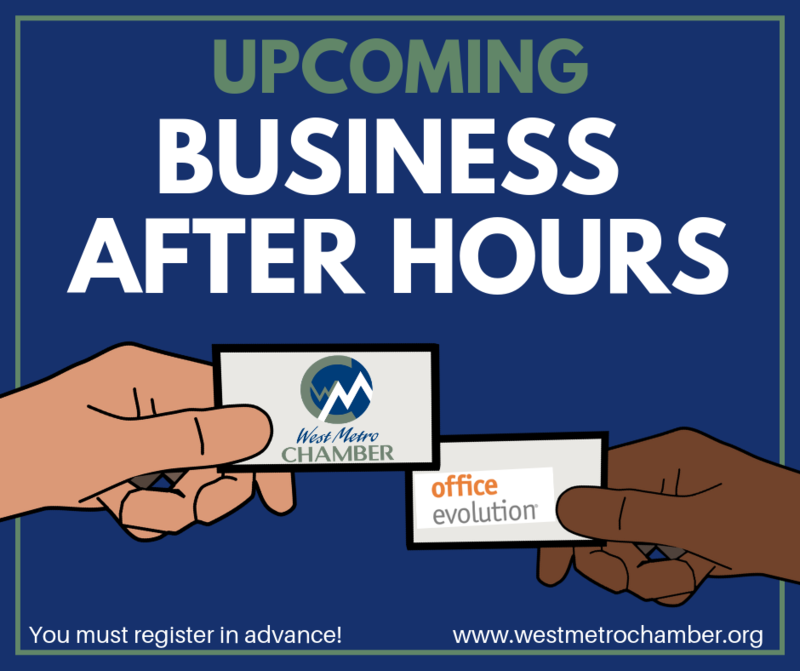 The West Metro Chamber's Business After Hours is the premier networking event for business professionals in Jefferson County. Our events give you the opportunity to expand your network by meeting and sharing ideas with chamber members, and their guests. It is a relationship-building experience held in a relaxed setting that benefits you and your company through added contacts and resources.